Nostalgia is playing a major role in fashion as of late. From power suits to see-through PVC to pastels, a profusion of throwback looks have been showing up on runways both designer and street. Spanning a range of aesthetics, you can find inspiration for feminine, flashy, and everything in between. For a modern take that’s not too costumey, it’s all about balancing retro pieces with up-to-the-minute essentials to push the look forward—anything from updated silhouettes to so-now accessories will do the trick. Confused? Stay with us. 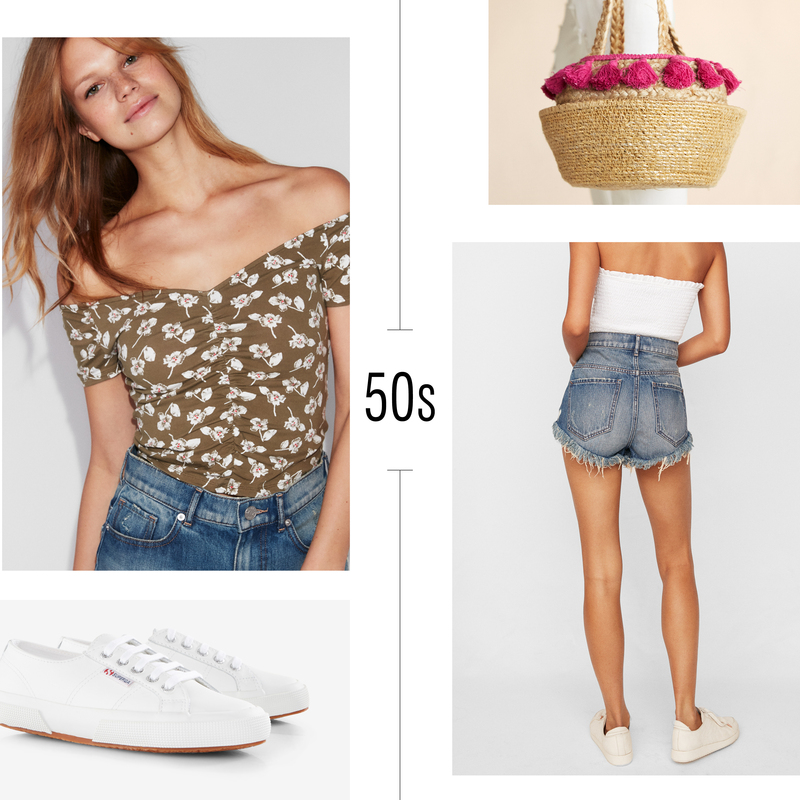 Ahead, we’re decoding this fashion obsession with five vintage-inspired outfits made up of spring’s latest pieces. A modern rendition of 50s pin-up, this ruched wide off the shoulder top pairs perfectly with high-waist shorts for a sunny summer weekend. Fresh white sneakers and a straw tote are easy-chic accents. 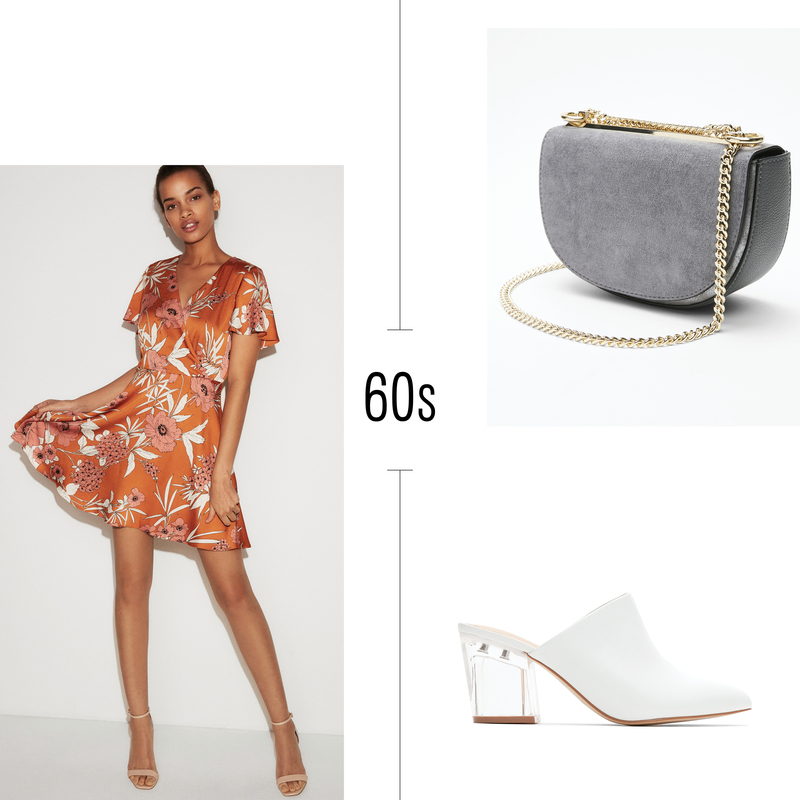 An A-line dress is a modern play on an iconic 60s silhouette—the punchy pattern is a fresh way to channel the decade’s far-out fabrications. Punctuate the look with optic white mules as an updated take on the disco boot, and a half-moon-shaped crossbody as a nuanced version of the pocketbook. Embrace hippie style with a bell-sleeve top in breezy eyelet. 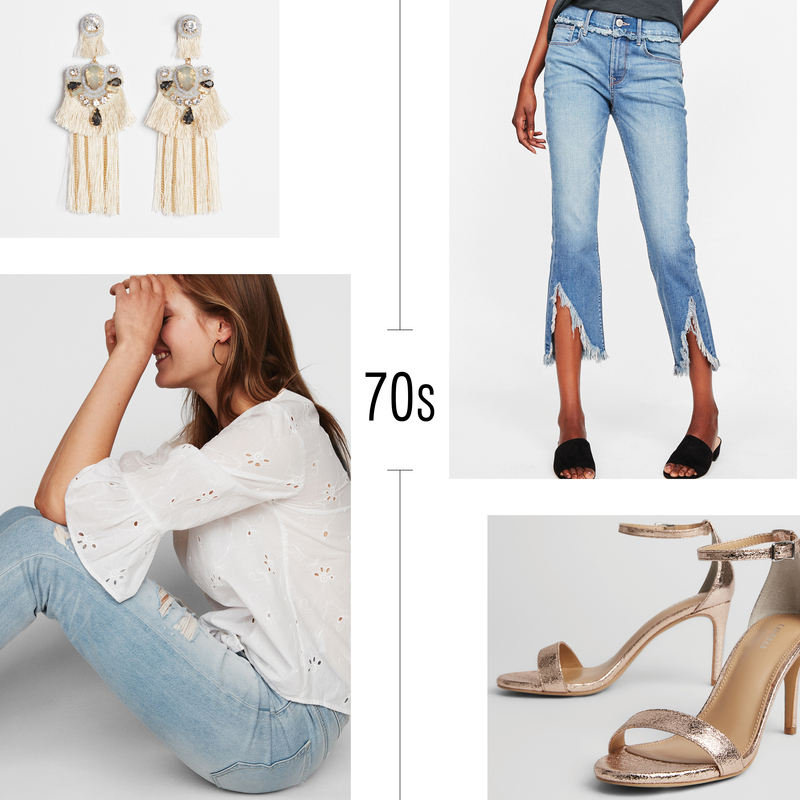 Faded jeans with a split hem are a so-now swap for seventies flares. Metallic sandals and tassel earrings take the wanderlust look to elevated new heights. For your evening attire, aim for 80s opulence via a sequin mini skirt and metallic accessories. 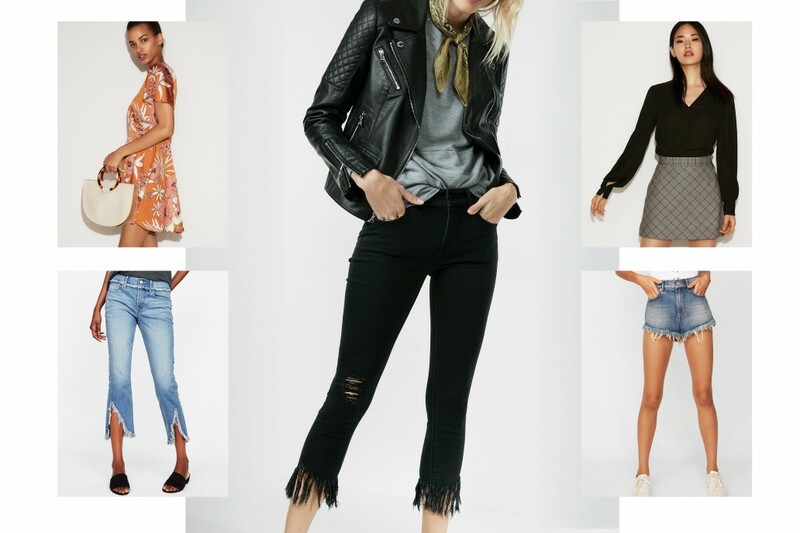 A simple tee and leather jacket lend easiness to the look for a fresh and edgy spin. The 90s are back in a big way and plaid pieces á la Clueless are major. Go for a plaid skirt for comfortable-cool and team a square-neck ribbed top for figure-flattering effect. PVC wedges and a sleek circle bag are the ultimate finish.